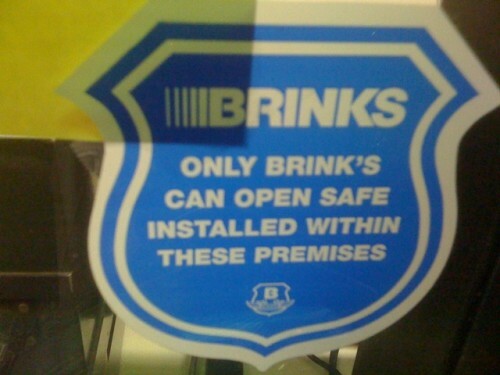 Only Brink’s can open this Brinks safe? “Brink’s” is correct, since the company was founded by Mr. and Mrs. Brink. They’ve been leaving the apostrophe off their logo for years, though.